We love finding hidden secret service menus and codes for electronic gadgets such as mobile phones, TVs, etc. We have shared service codes for Google Android mobile phones, Samsung Wave Bada OS mobile phones, Chinese mobile phones and Samsung and LG TVs in past and now its turn of DTH set top box. 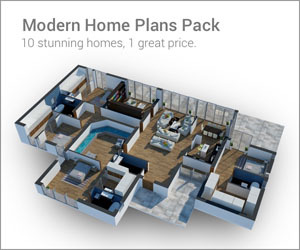 There are many DTH (Direct To Home) service providers in India such as Tata Sky, Dish TV, Airtel Digital TV (ADTV), Reliance Big TV, Sun Direct, Videocon D2H and DD Direct+. Among all these companies, Tata Sky is the most popular DTH service provider in India. Tata Sky provides normal SD channels along with a few HD channels to its customers. It also provides DVR service which allows you to record and pause the live television programs. Tats Sky uses Sky brand of British Sky Broadcasting so Sky DTH users and Tata Sky DTH users enjoy almost the same set top boxes provided by the companies. Now the question comes why are we telling you all these things? It’s because today in this article, we are going to share a hidden secret service menu and secret service code for Tata Skyand Airtel Digital TV set top box. DISCLAIMER: This information is intended for experienced users. Please do not try any of following methods if you are not familiar with set top boxes. We’ll not be responsible for the use or misuse of this information, including loss of data or hardware damage. So use it at your own risk. The secret service menu present in Tata Sky and Airtel Digital TV DTH set top box can be used to setup the LNB, signal type, format the hard disk, master reset and much more. And the secret service code can be used to reinstall or upgrade the set top box firmware or software. All Tata Sky and Airtel Digital TV set top boxes come with this hidden menu to be used by engineers to fix the set top box in case you face problems while accessing TV channels, etc. 1. Switch on set top box and press “Organiser” (or Settings button in new remotes) button on your Tata Sky remote. Airtel Digital TV users press “Menu -> My Settings“. 2. Now select “System Settings” menu in Tata Sky. Airtel Digital TV users select “System Setup” option. 3. Now the tricky part comes. Press “0” and “1” buttons and then press “Select” button on your Tata Sky remote. Airtel Digital TV users press following 5 buttons in sequence: Red, <, Green, > and Yellow button. Be very careful while accessing these options. You can format the hard disk using the “Format Disk” option. You can select LNB type, frequency and other parameters using “LNB Setup” option. “RF Outlets” option can be used to customize channel number for UHF/VHF output. “Manual Tuning” option is given to customize signal type but it’ll require expertise and knowledge of dish antennas, etc. You can restore your Tata Sky set top box to factory default settings using “Master Reset” option. Keep in mind it’ll remove your favorites channels and saved preferences. But it’ll not delete your recorded TV programs. “Master Reset” option can be used if you are having problems with your set top box such as not receiving enough signals, poor picture or sound quality, etc. NOTE: This method will work for all Tata Sky and Airtel Digital TV set top boxes whether its normal SD box, HD box or HD+ box. This method should also work for Sky set top boxes, not checked. If you notice that your set top box is not providing picture or sound of a particular channel or you face other kind of annoying problems with your Tata Sky or Airtel DTH set top box, you can try a secret way to reinstall or upgrade your set top box firmware (or software). 1. Start your set top box from mains and wait for the “Please Wait Initializing…” message on screen. 2. As soon as you see the message, quickly press “Back” button 2 times and then press 2 4 6 5buttons on your remote. If the above method doesn’t work, you can try to press “Back” button 4 times and then press 2 4 8 5 buttons on your remote. OR press “Back” button 2 times and then press 2 4 8 5 buttons on your remote. NOTE for Airtel DTH users: You might need to press Exit button instead of Back button. 3. If you press the buttons on time, you’ll be greeted by the “DVB SSU+ LOADER” screen and your set top box will start downloading and installing the latest firmware. 4. Do not try to switch off the set top box during the process, it might damage your box. The software installation might take a few minutes to complete. NOTE 1: This method will work for all Tata Sky and Airtel Digital TV set top box whether its normal SD box, HD box or HD+ box. It should also work for Sky set top boxes, not checked. This method also works on MSO/cable operator’s Set Top Box such as DEN, etc. NOTE 2: If you have the new Tata Sky HD+ Transfer set top box, above mentioned steps will not work for you. To overcome this problem, you’ll need to first put the remote into “Learning Mode” by pressing Back and number 2 buttons simultaneously for a few seconds. Then restart STB and follow the above instructions. Or you can use an old remote of any previous HD STB to manually update firmware of Transfer STB. This secret code will allow you to modify advanced set top box parameters such as frequency, modulation type, etc at boot time. It might become useful if you can’t access STB menu options. 1. First of all you need to follow the same Steps 1 and 2 as mentioned above in Method 2. 2. After pressing the mentioned buttons on your remote, if you immediately press “Info” button on your remote, it’ll open a hidden secret “Advanced Setup-up” menu which allows you to edit lots of advanced options of your set top box such as modulation system, frequency, symbol rate, FEC, polarization, etc. 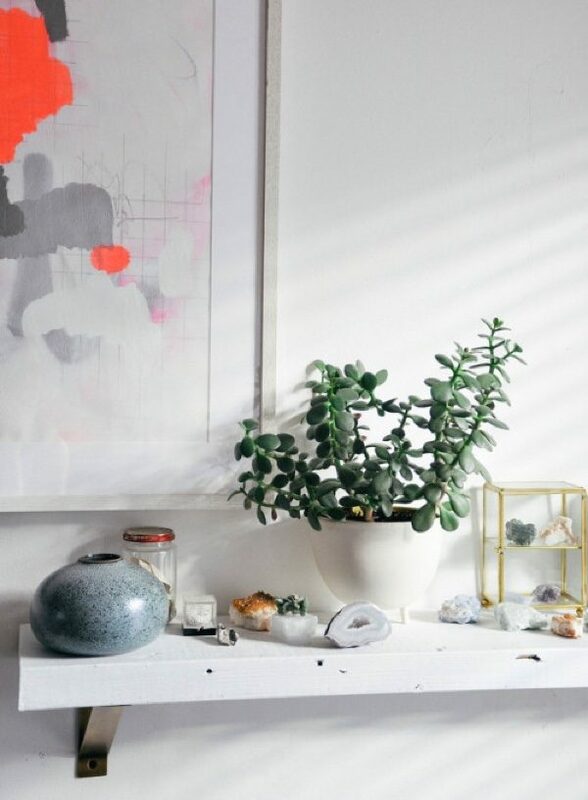 Even those without a green thumb can appreciate the beauty of houseplants – if you’re one of those people, this post is for you! We’ve compiled information on 32 low-maintenance plants ranging from tiny succulents all the way to small trees, something for every skill level. This outdoorsy touch is a great way to boost mood, add color to your interior, and build up gardening skill. 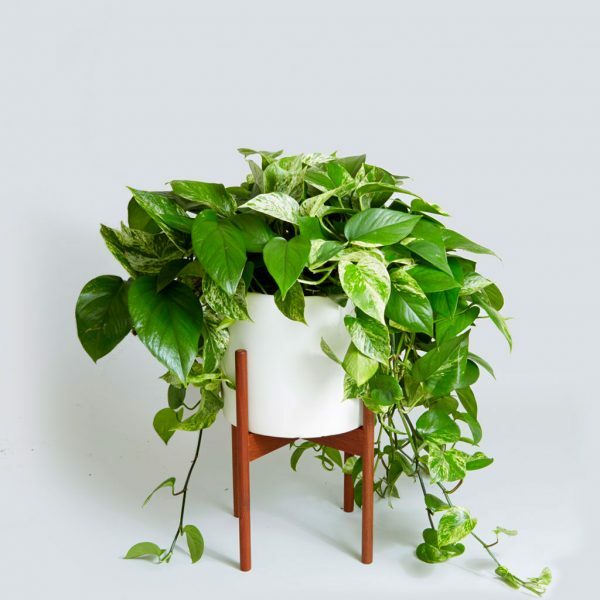 Many people even enjoy keeping houseplants to purify the air, but it’s important to consider some important caveats to that NASA study everyone keeps mentioning about – with that in mind, this list focuses on attractive aesthetics and easy maintenance only. Enjoy the search! 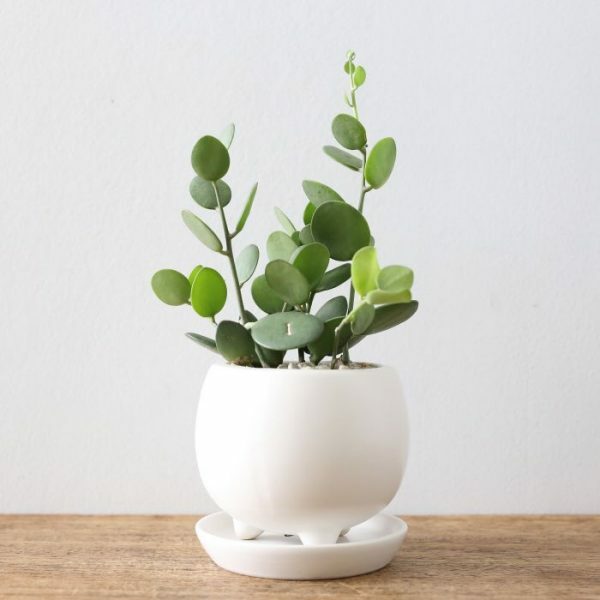 Chinese Money Plant: Pilea peperomioides, commonly known as the Chinese money plant, has such a distinctive look with its round coin-like leaves and straight stems – they look gorgeous in short pots like the one pictured. These hardy plants grow quickly with a once-a-week watering (depending on the temperature in your home) and will happily thrive in bright spaces but don’t require direct sunlight. Silver Dollar Plant: If you’re looking for drought-tolerant plants, succulents like the Xerosicyos danguyi are fantastic, but it helps to get a container with good drainage like these ceramic and bamboo planters. Xerosicyos are actually a climbing succulent so be prepared to leave a little headroom wherever you display them! A space with direct sunlight is best. Jade Plant: Jade plants (Crassula ovata) are an especially interesting succulent due to its unique bush-like structure that makes it suitable to trim as a bonsai. And under the right conditions, you might even see pink flower blossoms! These plants might develop red or yellowish tint with too much sunlight, but they require very little water in the summertime and even less in winter. 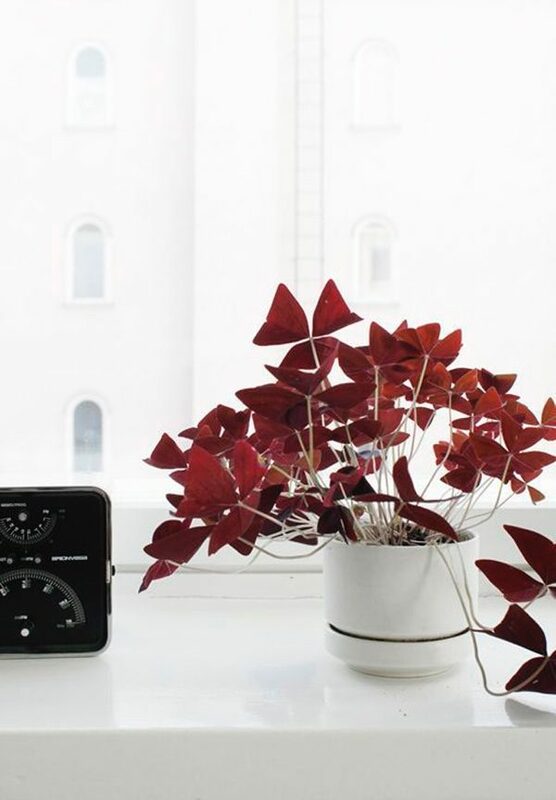 Oxalis: Oxalis triangularis, or false shamrock, is a houseplant native to Brazil, known for its bold and vibrant coloration that can range from violet to crimson. The included link is for the bulbs only but should sprout within a week and may even bloom into lavender flowers within 10 weeks. These look great in a light colored pot. Oxalis requires multiple hours of direct sunlight each day so they’re perfect for a sunny spot in the garden too! 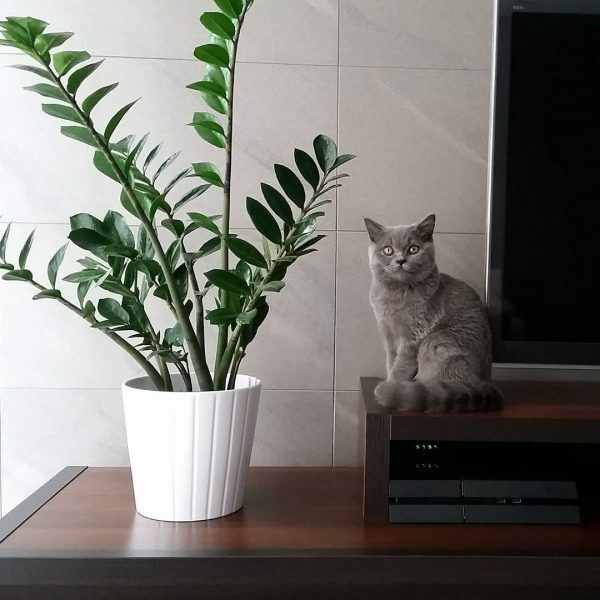 Like many houseplants, this one is isn’t good for pets to nibble on, so always exercise caution when choosing placement for display. ZZ Plant: Zamioculcas zamiifolia grow tall and substantial to make a brilliant impression in any room. They’re easy to care for, preferring bright indirect light and small amounts of plant food. 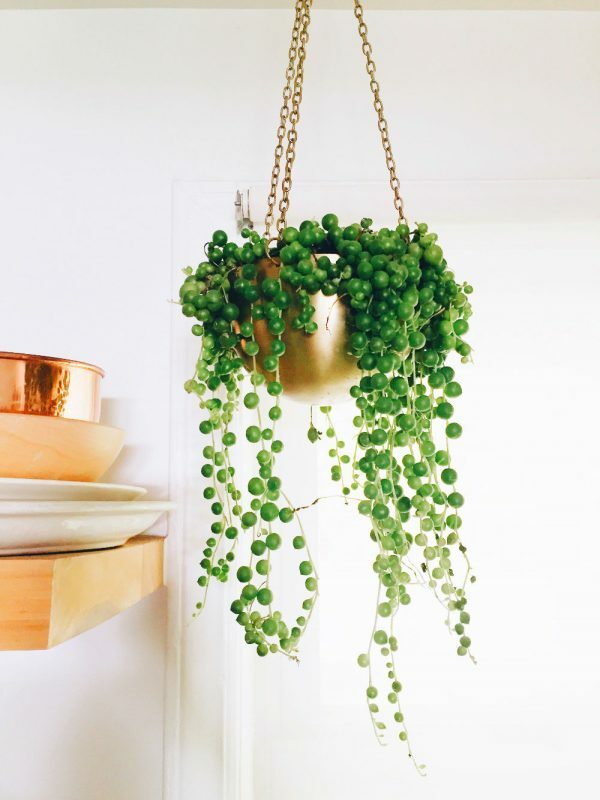 String Of Pearls: What a unique houseplant! Guests are sure to comment on the grace of your beautiful Senecio rowleyanus as its delicate tendrils of round beads overflow its planter. These are great for hanging or draping over a pedestal, preferably in a location just out of the reach of direct sunlight. Plant in loose cactus soil and be careful to avoid overwatering for best results. Tillandsia: Succulents from the Tillandsia family are some of the easiest to care for – outside of an occasional misting, they’ll take all the water they need right from the humidity in the air. 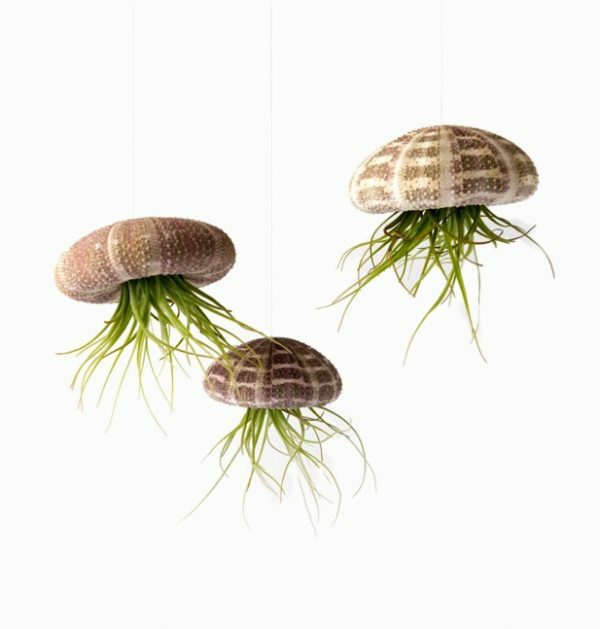 Another benefit is the lack of root system, making it easy to create fascinating arrangements like the cool sea urchin shell plantersabove. Pictured are Tillandsia oaxacana, one of the most common and easy to care for species of Tillandsia. 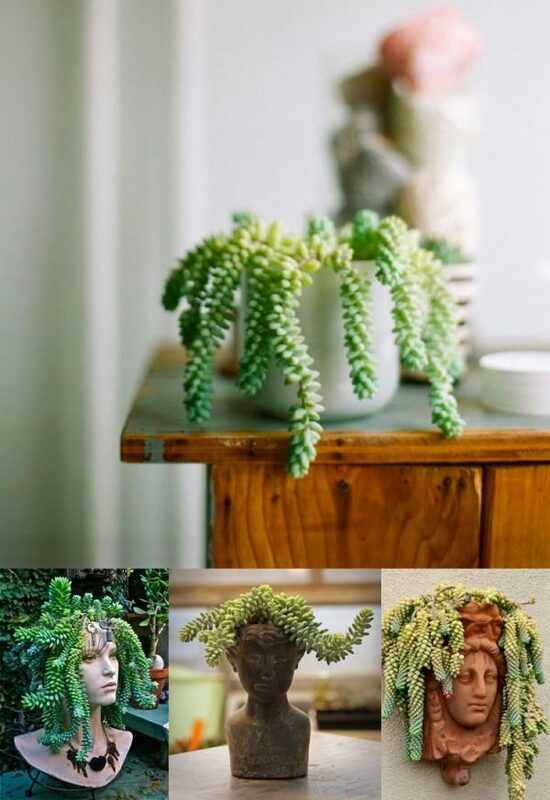 Donkey Tail Plant: Sedum morganianum is a wonderfully unique flowering succulent that lends itself to unique planters like the ones featured above. These plants enjoy bright direct light but not extreme heat, and require regular watering in warm weather but too much watering can hurt it during its dormant winter stage. Are you curious to learn more about growing and caring for succulents like these? Succulents Simplified is a book that covers 100 low-maintenance varieties, including the donkey tail plant. Bunny Ear Cactus: Iconic for their flat branching shape and deceptively fuzzy-looking but irritating barbs, Opuntia microdasys looks beautiful but deserves caution during handling. 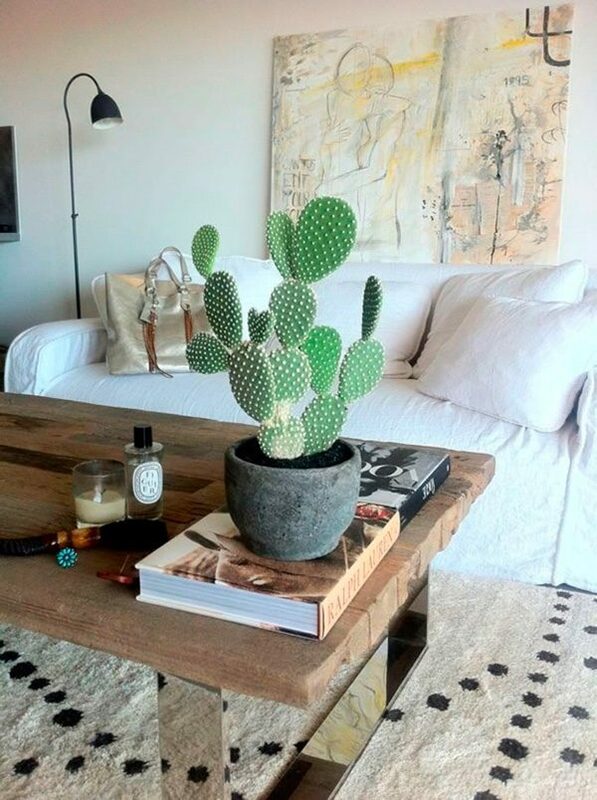 If you’re looking for a low-maintenance cactus to enhance a desert-themed interior, it’s hard to go wrong with this one. Give these plants plenty of sunlight and water when dry – they’re hard to get wrong. Consider pairing with a stone, sand-colored, or rustic planter. Aloe Vera: Besides being a popular ingredient in skincare products, Aloe plants are also extremely easy for even the most novice green thumb to keep alive. Plant these hardy ornamentals in cactus soil and place in a bright area for best results. They also make great gifts for friends who have trouble with other plants! They look great in just about any type of container and within any type of interior. They’re just that flexible. 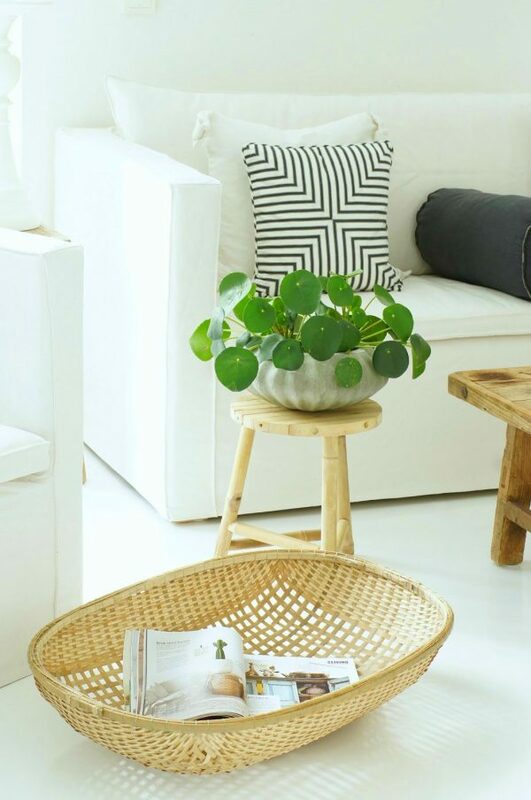 Pothos Plant: Epipremnum aureum is an overwhelmingly popular houseplant for good reason. Supposedly, its other nickname of “devil’s ivy” comes from its hardiness and the perception that it is nearly impossible to kill. The vines can grow almost impossibly long, making them a great choice for suspension from tall ceilings. Consider this plant if you need something for low or indirect light conditions. Water when dry. 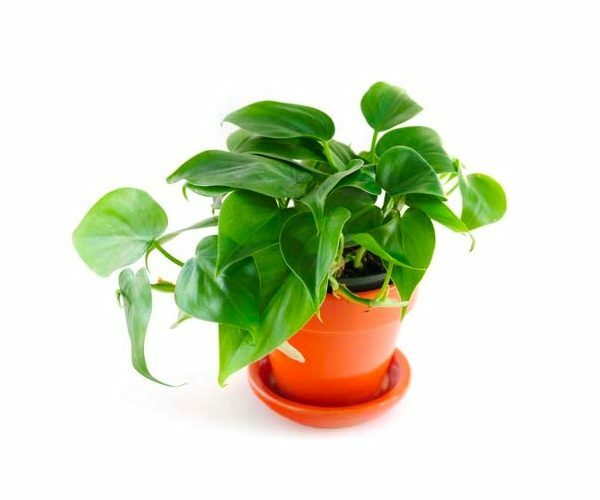 Heartleaf Philodendron: Here’s another houseplant beloved for its true hardiness. Philodendron hederaceum works well as a hanging plant or you can add a trellis and enjoy its potential as a climber. Avoid full sun and keep soil very lightly moistened to see it thrive. Once your plant starts getting unwieldy, you can propagate cuttings to give as gifts to friends. 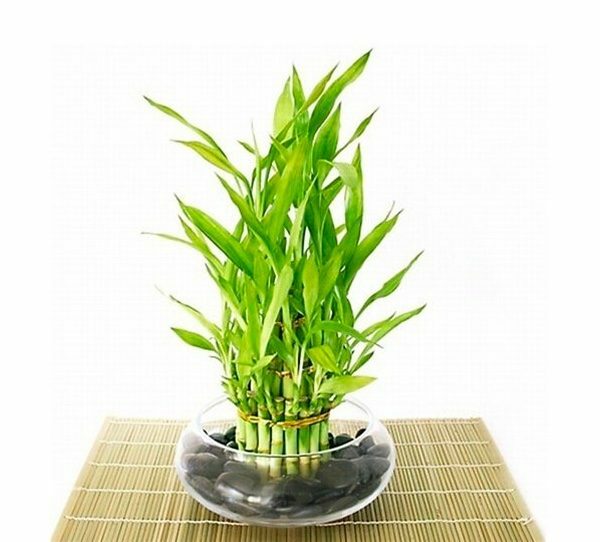 Chinese Water Bamboo: Dracaena sanderiana grow without the need for soil – simply place in water like a cut flower would be. You can even add your favorite river rocks or decorative shells to match your decor! The bundled arrangement pictured above ensures they grow strong and tall. Just make sure to replace the water every few weeks but avoid treated tap water if possible. Or, you can transfer to a well-draining potting soil mix for a more traditional houseplant experience. 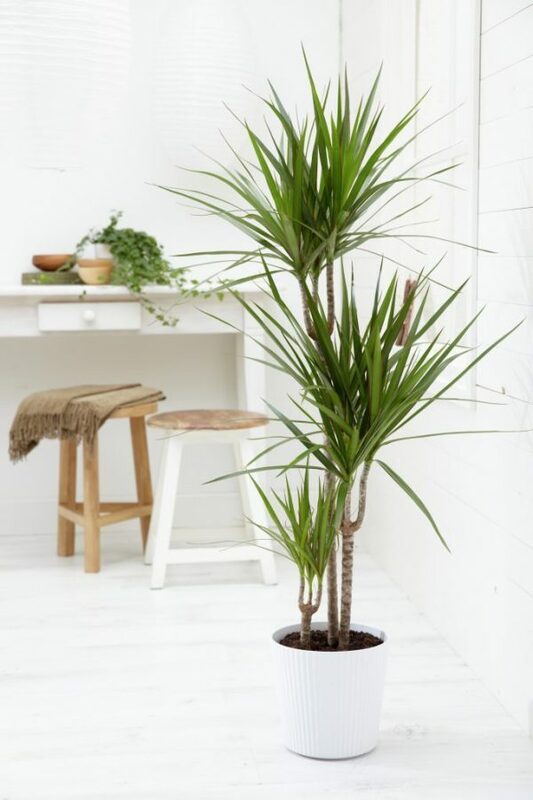 Dragon Tree: When it comes to tree-like houseplants, it’s hard to find low-maintenance options, but Dracaena marginata is the exception to the rule. 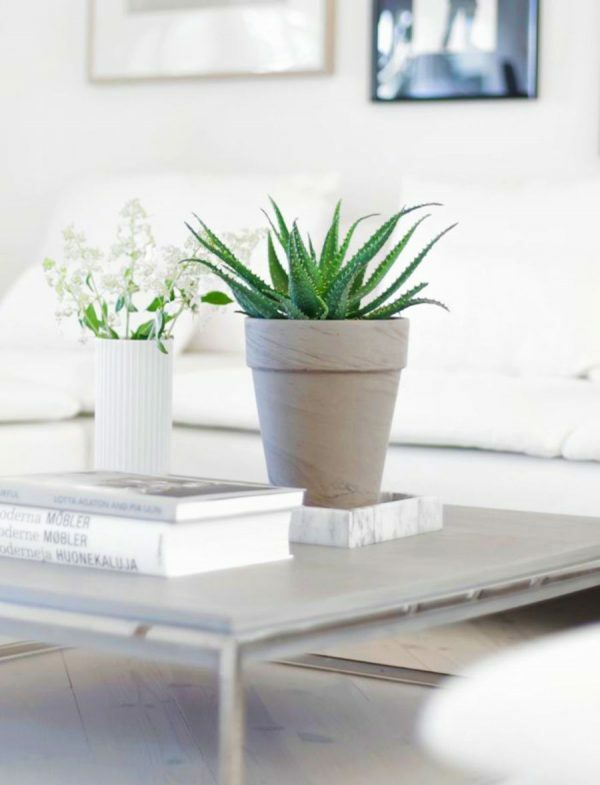 You can often wait until the soil is dry to water it, so it’s great for offices and far-off corners of the house that might not get much attention from caregivers. Bright indirect light and constant temperature will help this plant grow its strongest. Be prepared with several sizes of planters to accommodate its fast-growing root system. 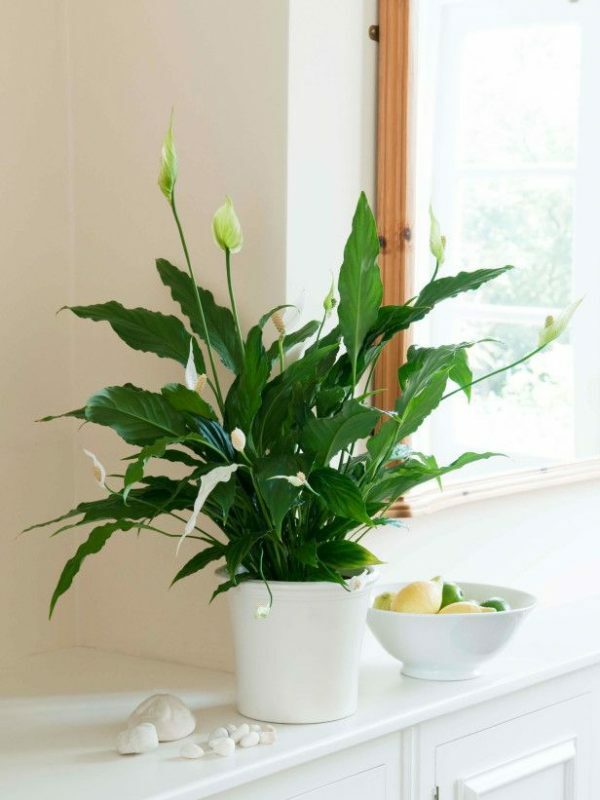 Peace Lily: Sometimes flowering plants prove the most challenging to keep healthy, but certain lilies in the Spathiphyllum genus (the peace lily family) are on the more easygoing side. Peace lilies are forgiving plants but seem to do best in indirect sunlight with access to shade. Wait to water the plant until you notice a bit of drooping in the leaves for best results. These plants need reliable drainage. Consider planting in a simple pot to let the beautiful flowers take center stage. Swiss Cheese Plant: The scientific name Monstera deliciosa refers, in part, to the edible pineapple-like fruit this rainforest plant can provide – just make sure to read about how to ripen the fruits properly to avoid irritation upon consuming. 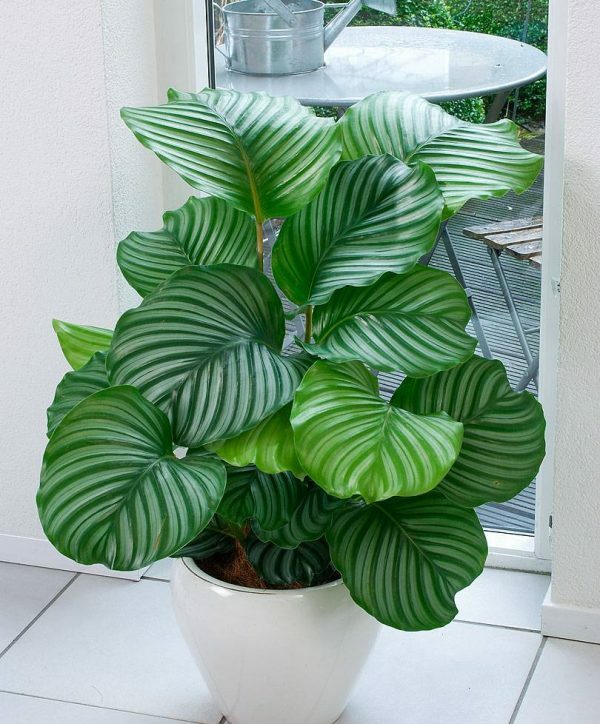 These stunning large-leafed plants make a great statement piece and add warm, tropical appeal to any interior. Prayer Plant: Just look at that amazing color! 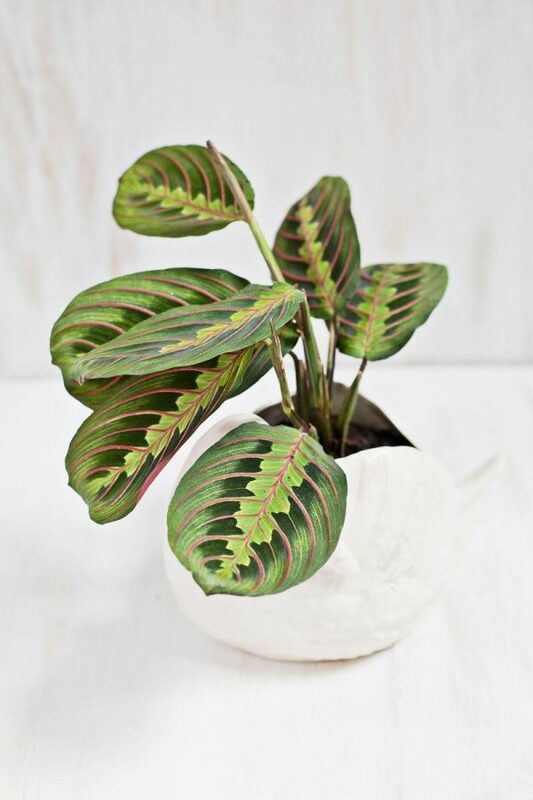 Maranta leuconeura plants are certainly a work of art. The red veins make them an effective accent for interiors that need a little color. The leaves actually raise and contract based on the day-night cycle, quite interesting to watch as the day progresses. This folding effect is how it gained the common name of “prayer plant”. Like many low-maintenance plants, these simply need indirect light and even moisture. 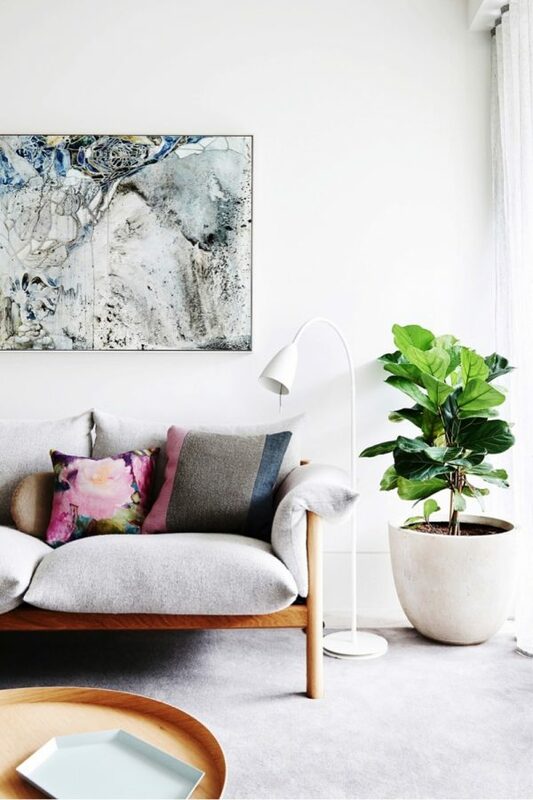 Fiddle Leaf Fig: Ficus lyrata, or the Fiddle Leaf Fig, is a hardy tree that can grow up to 50 feet tall in its native tropical rainforest environment, but makes a lovely indoor tree for home decorating purposes. Be prepared to upgrade the size of the planter if you want your Ficus to grow nice and tall, which they are happy to do! This plant does best in bright indirect light and water once the top of the soil is dry and the leaves soften. Areca Palm: Dypsis lutescens, commonly known as golden cane palm or areca palm, makes a lovely focal point with its height and playful fronds. These plants enjoy indirect sunlight or partial shade, preferably in a well-drained planter filled with loamy soil. If you tend to overwater plants, this species will prove rather forgiving. Keep the soil moist but avoid muddiness. A little nibbling won’t hurt cats or dogs so pet owners can rest easily with this one. 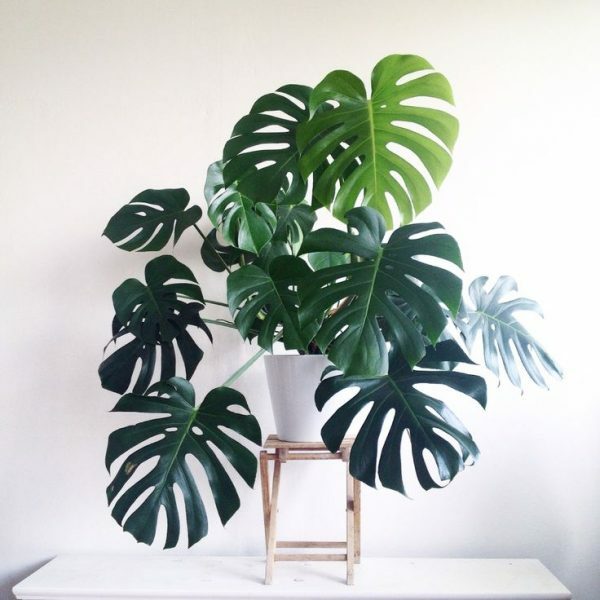 Rubber Plant: Rubber plants love bright indirect sunlight, moist soil, and high humidity. The waxy leaves really catch the light for a beautiful presentation. 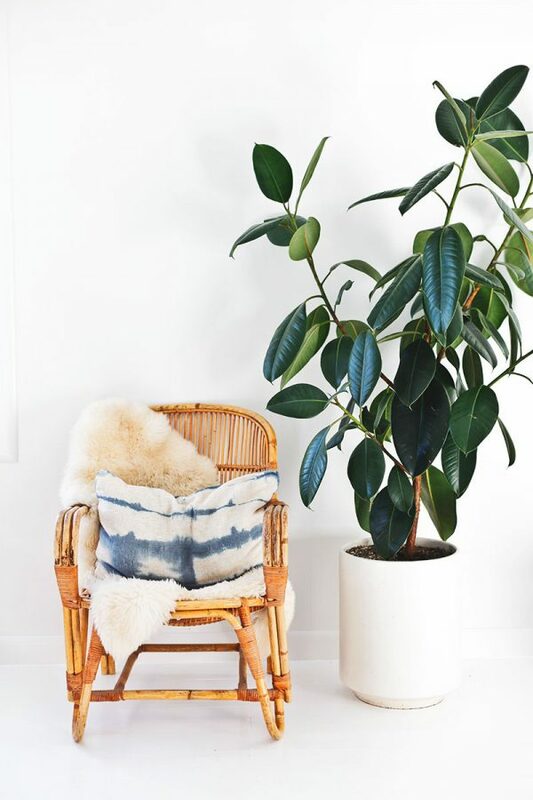 These trees – also known by their proper name of Ficus elastica – tend to grow quite tall unless pruned so they’re a great candidate for beautiful spacious planters. Calathea Orbifolia: Smooth streaks of white stand out against the vivid green leaves of the Calathea orbifolia, like a living painting. These plants are a little tricky to care for compared to some of the others on the list, but the key is to stay calm and make adjustments slowly. Moist soil, good drainage, and low but reliable lighting conditions are a great place to start. Giant White Bird Of Paradise: Now this is a statement piece! 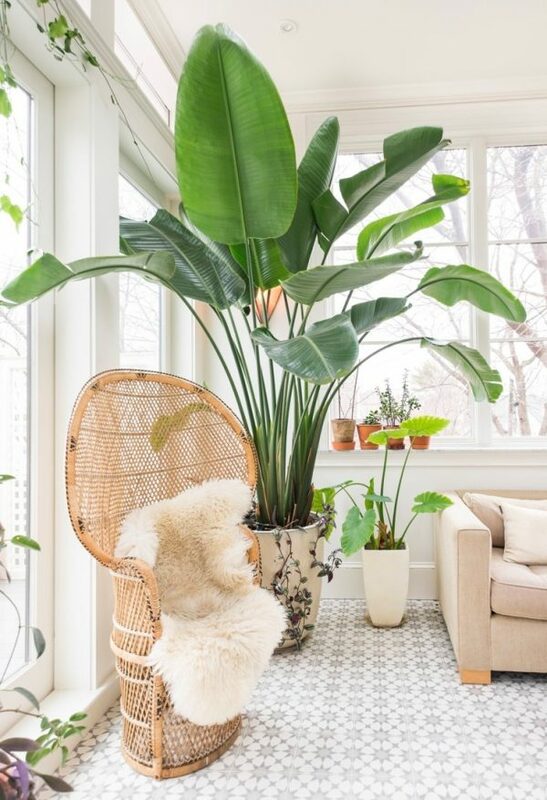 Strelitzia nicolai, or the giant white bird of paradise, grows up to 20 feet tall in ideal conditions and certainly tall enough to make an impression in any interior or atrium. While many plants are sensitive to full sun, this plant welcomes it. Keep the soil moist and remember to fertilize monthly to get the best results. 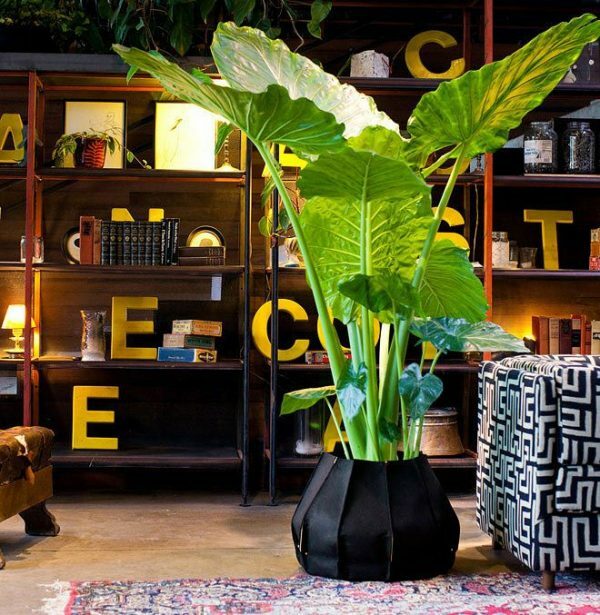 Elephant Ears Plant: Colocasia gigantean is another big-leafed plant for interiors that need a big dose of the outdoors. In some countries, including Japan and parts of Vietnam, the stalk is a popular ingredient in meals after careful preparation. They are a little tricky to grow indoors but very worthwhile, requiring indirect sunlight and very high humidity. 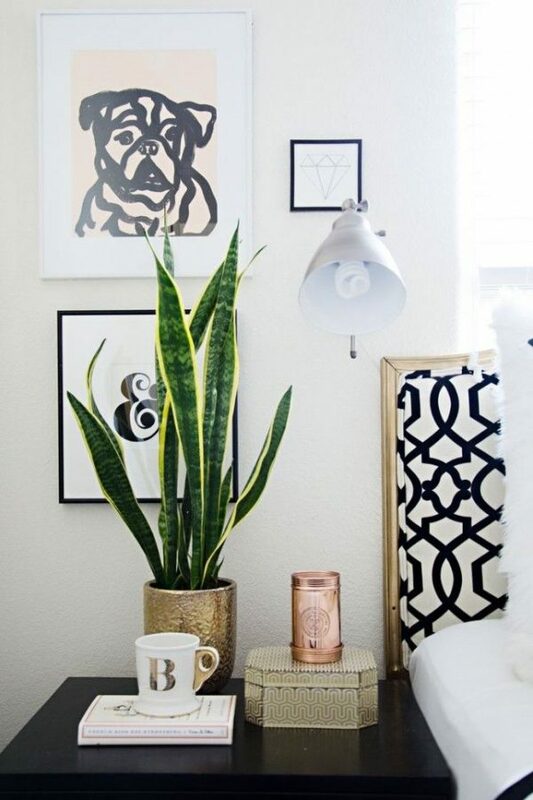 Snake Plant: What most people know as the snake plant or mother-in-law’s tongue, but officially known as Sansevieria Laurentii, is an exceptionally hardy and distinctive plant with high-contrast banding that is impossible to ignore. These plants grow rather tall and make a great statement piece for low tables. Snake plants are tolerant of low light and irregular watering, considered nearly indestructible by many. Hawaiian Umbrella Tree Bonsai: Bonsai enthusiasts will love this versatile and attractive tree, officially known as Schefflera arboricola. Even better, they stand up wonderfully to a variety of lighting conditions and watering routines. 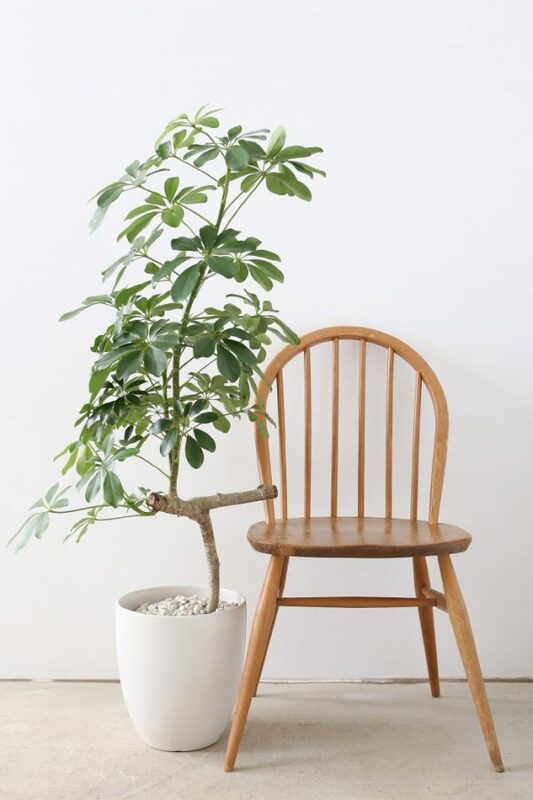 Let your umbrella tree grow naturally or trim it into a distinctive shape. 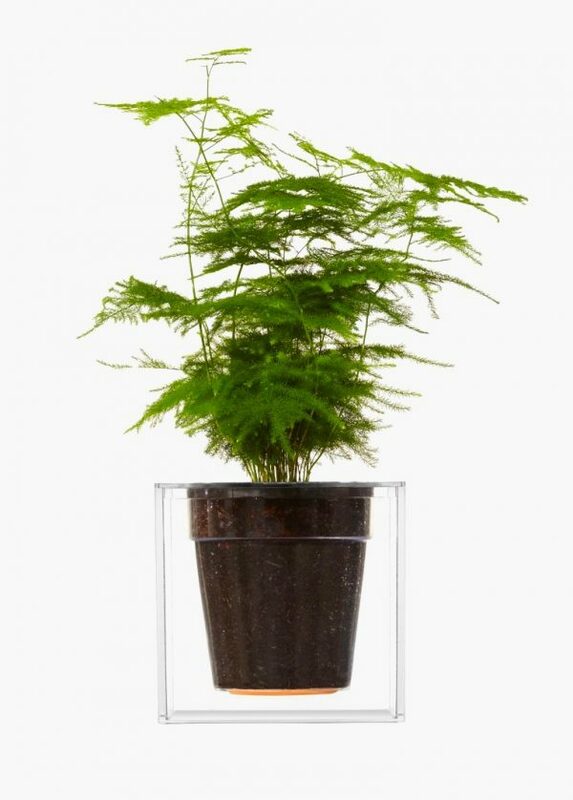 Let it grow tall, or restrict to a small pot as a desk decoration. 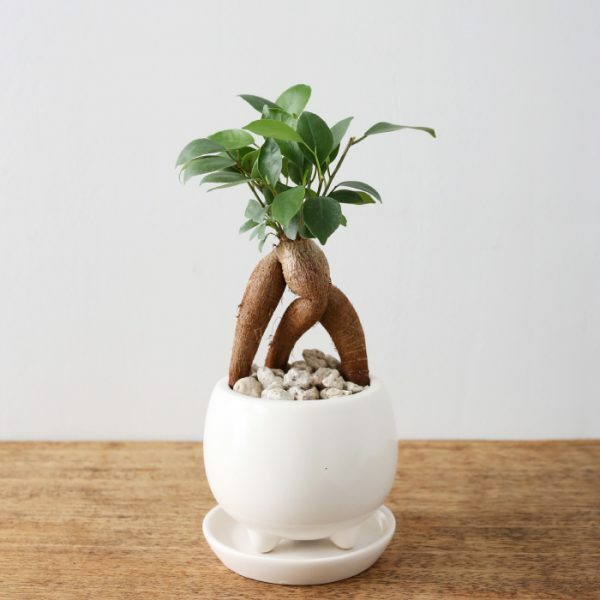 Grafted Ficus Bonsai: Are you looking for a small desk plant sure to spark conversation? Ficus microcarpa “Ginseng” definitely has a very distinctive look to it. These plants are extremely forgiving, easily tolerating conditions ranging from low to bright light (but not direct sunlight) and can live through irregular watering for the most part. They are a wonderful addition to any office environment. 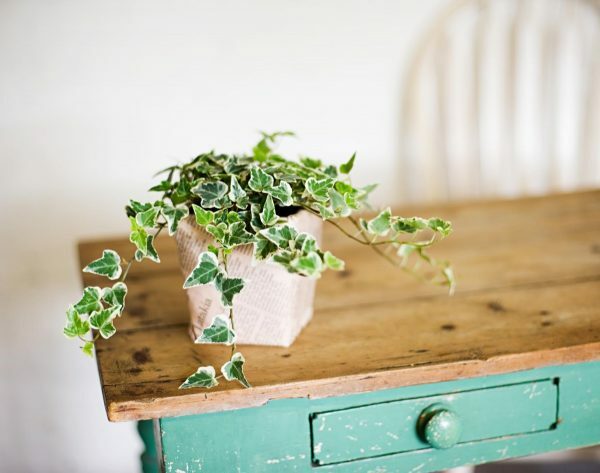 Ivy (Hedera): Ivy looks wonderful in a variety of planter types, from pedestals to hanging planters and even large concrete bowls and other decorative pieces. It’s hard to go wrong when dressing up a plant that has such spectacularly colorful leaves! 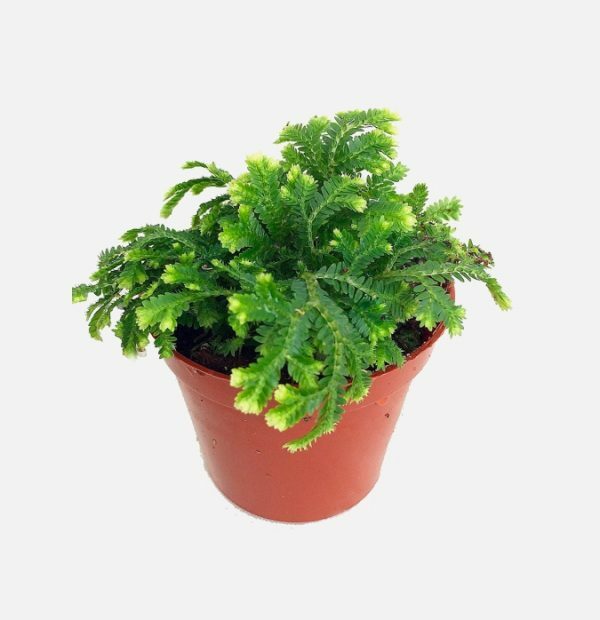 Boston Fern: Nephrolepis exaltata is a topical fern that just bursts with energy and volume. These Boston ferns prefer damp high-nutrient soil and bright filtered light. 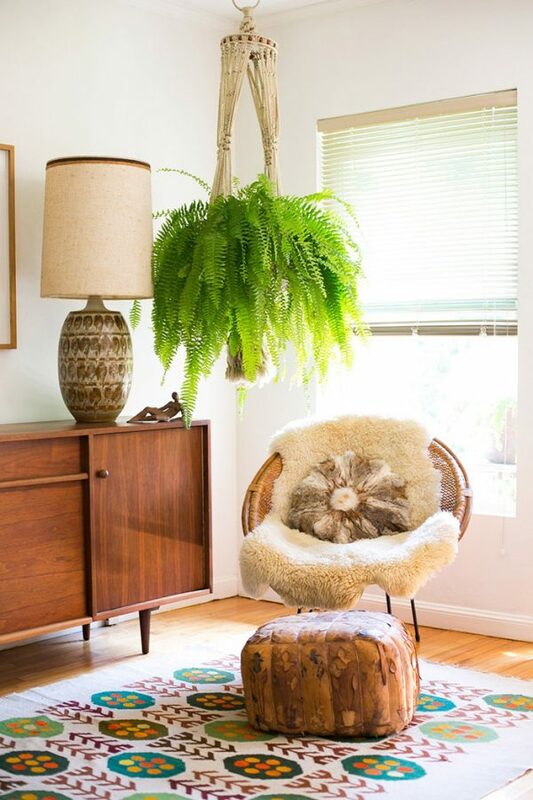 They look spectacular as a hanging plant, on a pedestal, or even on an ordinary side table. It’s hard to go wrong with a fern as gorgeous and hardy as this one. 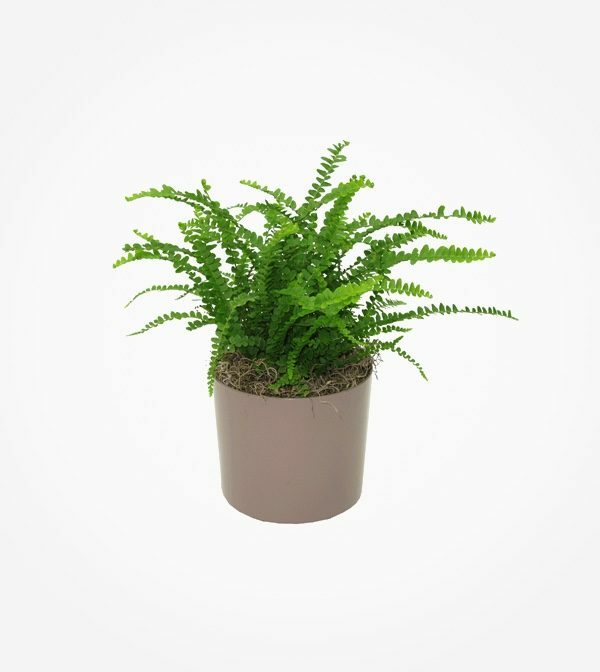 Lemon Button Fern: Native to Australia, Asia, and Hawaii, the Nephrolepis cordifolia fern is a close relative of the Nephrolepis exaltata outlined above and shares many of the same maintenance requirements. Like many ferns, it poses no danger to pets. These are easy to grow and make great gifts – get creative with a decorative planter to make an even bigger impression. Asparagus Fern: Feathery fern-like tendrils make the Asparagus setaceus look lighter than a cloud. They’re a popular indoor plant due to their low-maintenance needs (preferring bright indirect light and watering when dry), but the dried fronds are popular in flower arrangements as well. 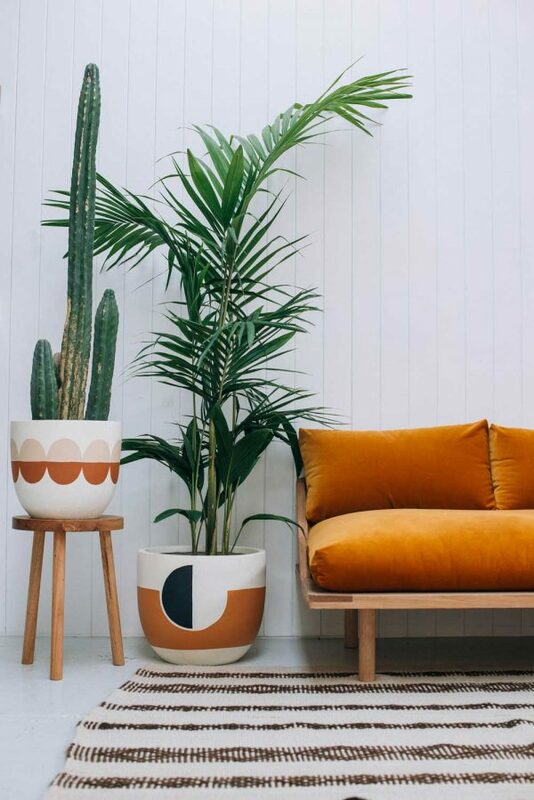 Do you love the planter? You can purchase it by following this link. Frosty Fern: Selaginella kraussiana is a spikemoss native to the Azores and parts of east Africa. Plant owners that tend to over-water will be glad to know this thirst plant can tolerate constant moisture. Consider adding this to a terrarium or a small fairy garden! 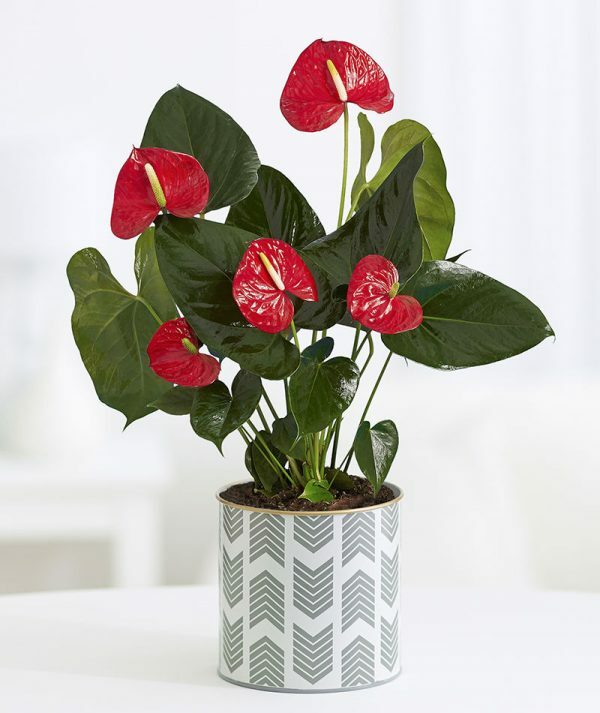 Anthurium: This cultivar of anthurium is especially popular for its persistent, constant blooms and eye-catching waxy red flowers. Guests won’t believe it’s real! Avoid direct sunlight and allow the soil to dry slightly between each watering.